This list is based on analysis by CareerBliss.com of 45,000 employee generated reviews between April 2012 and March 2013. Businesses looking to better understand the demographics of their market area should consider using one of our population maps. At MarketMAPS, we can create custom demographic maps of any city based on data like consumer expenditure, consumer behavior, population, income, age, and more. This can help a business pick profitable locations and plan marketing campaigns. Contact MarketMAPS today to learn more about our Population Maps! This list is based on user rankings and an informal review. Businesses should consider using a custom population map to learn about the demographic makeup of households surrounding their sites and track population growth. 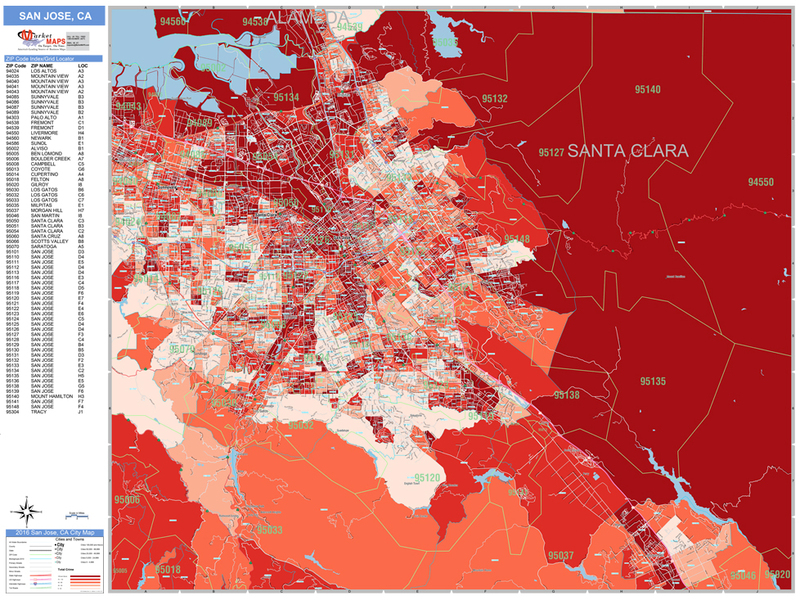 Custom population maps by MarketMAPS can show income, population, marital status, and more. With this information, businesses can market to specific demographics in their area and plot new sales territories. Contact MarketMAPS today to learn more about our Custom Population Maps! To compile this list, Zen99, a company that provides insurance and tax tools to freelancers, compared cities based on the cost of health insurance and housing, percentage of self-employed, unemployment rate, and tax rates. Businesses that want to analyze their market areas should consider using a custom population map to learn about the demographic makeup of households surrounding their sites. Custom Demographic Data Maps by MarketMAPS can show estimates and projections of census data like consumer behavior, labor statistics, income, and more. These maps make excellent tools for marketing, site selection and territory management. Contact MarketMAPS to learn more about our Custom Population Maps! This Top 10 list is based on total pay and job openings. Businesses that want to analyze their market areas should consider using a custom labor force map to learn about the demographic makeup of households surrounding their sites. Custom Demographic Data Maps by MarketMAPS can show estimates and projections of census data like consumer behavior, labor statistics, income, and more. These maps make excellent tools for marketing, site selection and territory management. Contact MarketMAPS to learn more about our Custom Labor Force Maps! This list is based on the number of married couples, the percentage of families with children under the age of six, average annual income, cost of living, and rental availability in 25 of the largest metro areas, using data from the Bureau of Labor Statistics and Census Bureau. Businesses that want to analyze their market area should consider using custom demographic maps to determine the age, race, marital status, and more of their consumer market. Custom demographic data maps by MarketMAPS can show estimates and projections of census data and track consumer behavior, retail potential, and consumer expenditures. Businesses that want to target newlyweds can even create a custom city map on MarketMAPS to find newlyweds in their city! Contact MarketMAPS today to learn more about our custom demographic maps!